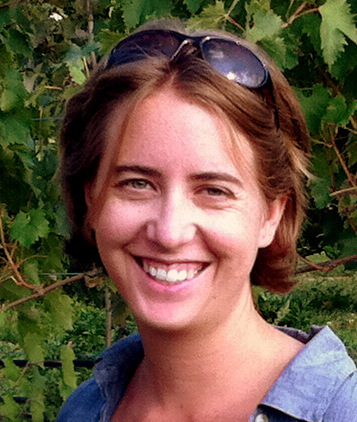 Home»Interviews»The Interview: Maria Elena Malpezzi-Price of ExperiencePlus! This month, we’re giving away an amazing bike trip in Italy with ExperiencePlus! (you can enter here). Rick Price and Paola Malpezzi-Price founded the company that would become ExperiencePlus! in 1972, an eternity ago in the world of adventure travel. Italy was and is their specialty, but today the company offers biking trips to two dozen destinations and is owned by their daughters, Monica Malpezzi-Price and Maria Elena Malpezzi-Price. I caught up with Maria Elena at the Adventure Travel World Summit in Kilarney Ireland last fall to ask her about ExperiencePlus! and its continuing role as an adventure trailblazer. Your parents were adventure travel pioneers when they founded ExperiencePlus! in 1972. What do you and your sister do to keep their original vision alive, even as you deal with a new generation -or two-of travelers? From the beginning, and still today, the emphasis has always been about combining the advantages of a bicycle, a human powered vehicle that is independent so you can start and stop when you want for photos, gelato, coffee and more gelato. The two wheeled pace is slow and yet you can travel significant distances. What we find has changed is how people decide where to go and when. We have developed shorter and longer tour options for most of our trips. Most itineraries now have a 7 or 8 day option and a 10 – 12 day extended option so that we can accommodate different needs for different travelers. We also find that more people want to just travel with their friends or on their own schedule so we found ways to easily set up custom dates or private trips within our schedule. There are certainly differences in the newer generations but we find that ultimately the desire to explore and the delight people have in exploring by bike hasn’t changed that much. 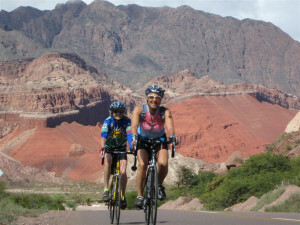 Biking in Northern Argentina with ExeriencePlus! You’re based in the US and your sister is in Italy. Is that a competitive advantage when it comes to planning and running trips? What is the most under rated ExperiencePlus! destination for biking? Northern Argentina, around the Salta area, is likely not on the top list of cycling destinations for most people, but we have found a fabulous combination of diverse scenery, breath-taking landscapes, friendly and welcoming people, good roads and great food. We started running trips in Chile and Argentina about 10 years ago and although we don’t offer as many dates as we do in Europe, we are seeing an increase in interest. They are great “winter” destinations for those of us in the Northern hemisphere and although they have a slightly different character than our European trips, the beauty of the regions and the interesting history make up for that. After all, if we can pedal the vineyards in Italy and France, why not Chile! Biking in Spain with ExperiencePlus! For riders who’ve done some of the classic rides in France and Italy but want that special mix of old Europe, great food and scenic countryside, which destinations might you suggest? I’m partial to our cycling tours in Spain because in my days as a tour leader I spent most of my time there. Whether it is our bicycle tour in Andalusia (a harder trip), or pedaling the Camino de Santiago, or our easier Catalonia tour north of Barcelona, Spain always seems to surprise people with its history and interesting food. 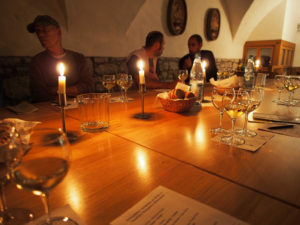 Wine tasting in Bavaria with ExperiencePlus! Another destination is Germany. Germans travel by bike more than almost any European nation and so their own network of roads and streets and bike paths are incredibly friendly to cyclists. 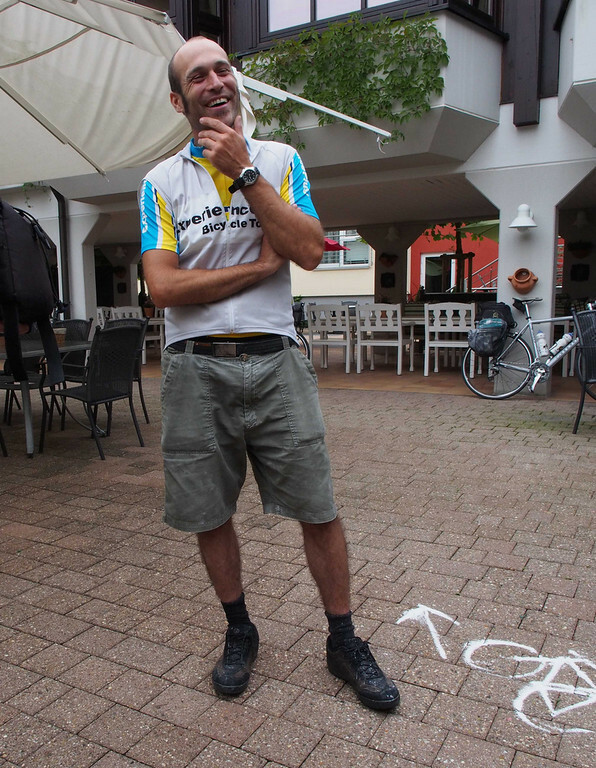 Our bike tour in Bavaria often receives high praise from longtime customers who have cycled all the “classic” destinations because of its picturesque towns, great routes and good food. The trip follows Germany’s historic “Romantic Road” and in fact, it has even been called by some of our senior guides – who are not even German! – as one the prettiest tour that we have. You mark your routes with chalk dust? Who came up with this great idea? Does it really remove the need to look at a map? Our father, Rick Price, came up with this idea in 1986 or 87. It is considered by many of our travelers’ one of the biggest advantages of traveling with ExperiencePlus! Anyone who has cycled in a local charity ride or even just with a group of friends knows the feeling of having to navigate with a group of cyclists. Chalk marks show the way with ExperiencePlus! Imagine a family road trip when your GPS is broken and you aren’t sure whether you should go right or left at the next intersection. There are multiple opinions, arguments and the feeling like you are just going around in circles. Our arrows take all of that anxiety away and truly allow for people to ride at their own pace and they do in fact remove the need for a map. Of course, Rick was also a geographer and so we still provide very good marked maps for every day! The arrows are “chalked” each day by one of our tour leaders who rides out in front, usually an hour or two before others leave. They are not permanent and they aren’t paint. One of the beauties of the arrows is that we can really take people on small tiny back roads that would otherwise be hard to explain with cue sheets or with maps. Any new destinations for 2015 or 2016? One of the key design principles we work on for all of our itineraries is that people can ride from point A to point B without getting into a vehicle unless they want to! In fact, the allure of being able to say you cycled from point A to point B is part of what gave way to our ExpeditionPlus! trips in 2006 when we first ran a tour from St. Petersburg, Russia to Istanbul, Turkey. Since that first Expedition trip we have developed other continental scale 30+ day Expeditions and almost every year we design a new one. Our 2015 Venice to Kalamata Expedition tour sold out within 2 weeks. For 2016 we are reimagining the Eastern European expedition, this time from Tallin, Estonia to Istanbul, Turkey and we are also looking at a Scandinavian or Rhine River to Danube River Expedition. Most cyclists don’t fall into the “I want to cycle 2000 miles over 30 days” camp and most of our trips are perfect for the recreational cyclists. 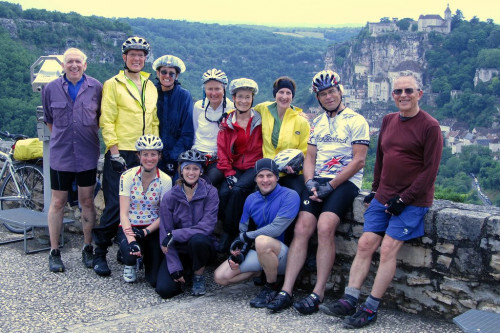 So we have designed some exciting new tours that are meant to more of an introduction to cycle touring, called Sightseer Tours. These tours still include cycling every day but they also have more options for half day activities off the bike and the cycling is on quiet roads and bike paths. For 2015 we have two such trips: a Veneto and Lake Garda tour as well as one along the Loire Valley in France. I’m headed to Italy in February for a conference and to also have some meetings with our guides and guide selection as we plan for the season. But in April I’m very excited to be on our inaugural tour in the Alentejo in Portugal. My sister Monica has some plans to go out and scout some new tours, either in Southern Italy or the new bike and barge tour. We seem to never have a shortage of places to go, just a shortage of time! Read a blog post from Rick Price about the founding of the company. I would love to take a bicycle tour! I discover so much while riding my bike than I ever do driving or riding in a car.